Engineered to refuel devices up to four times faster than conventional charging. Powered by INOV (Intelligent Negotiation for Optimum Voltage) Technology for fined tuned power output & a more optimized charging cycles. 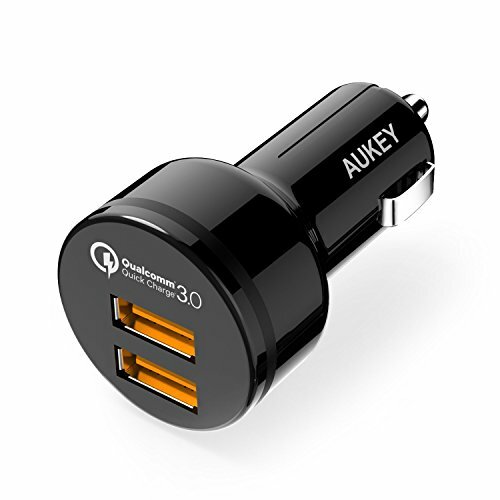 Up to 38% more efficient than Quick Charge 2.0 & compatible with a full range of USB connection types, from A to C.
Dual USB ports adapt to your non-Quick Charge devices to provide the safest maximum recharge rate with up to 2.4A of dedicated output available. Compatible with all your USB-powered tech whether Android, Apple, Bluetooth headphones or speakers, smartwatches, dash cams, etc.